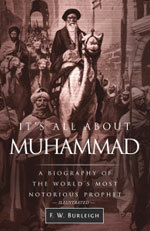 Find out more about this illustrated and comprehensive biography of Muhammad by reading the Introduction and a sample chapter about Muhammad’s assassination of his critics. Islam is all about the Koran and the example of Muhammad’s behavior, his Sunna. Muhammad slew people who mocked him, so his followers today slay people who mock him. We have included Chapter 16–Murder, Inc.–as the sample chapter because it explains the Charlie Hebdo massacre, and more recently the attempted murder of people who attended a free speech Muhammad depiction event in Garland, Texas. And while you are visiting this section, check out the Table of Contents and the List of Illustrations. 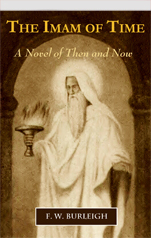 It’s All About Muhammad breaks the Muhammad story into 36 chapters, each of which offers unique insights into the violent world and the disturbed and totally frightening mind of Muhammad.